Gross was working for a subcontractor of U.S. Agency for International Development in 2009 when he was arrested and sentenced to 15 years in prison. As a contractor, he was installing internet access for the island’s small Jewish community that bypassed Cuba’s restrictions. The recent spy swap between the United States and Cuba puts an end to 50 years of wrangling between the two countries. Washington finally decided to smoke the peace pipe with the Castros, kiss and make up. Conservatives and anti-Castro groups are outraged, and that’s an understatement. They see it as capitulation after over 50 years of cold war with the little squirt down south. However, unlike Alan Gross who took the spotlight and gave a press conference, this agent, who came on the same plane that landed at Andrews Air Force Base near Washington D.C., was whisked away secretly to an undisclosed location. His name was ‘leaked’ to the press by an anonymous intelligence official of the United States and the story of why the spy is so important and why he was included in the swap was read off a carefully worded text by Brian P. Hale, an expert with an extensive career in dealing with the media. Everyone from the NY Times to the LA Times quickly picked up on the story quoting these sources and each other. The entire frenzy is actually a study in how information is manipulated in the U.S. and how popular opinion is formed. To help the Obama Administration make its case, Raul Castro, the president of Cuba also remained silent on the mysterious spy that Fidel’s Revolution coughed up. The U.S. and Cuba may not agree on much, but here they had to cooperate, and that was one of the things that obviously was negotiated between the two sides: the U.S. would handle the public relations aspect of the swap and Castro would remain silent. Cuba had nothing to lose by putting their three heroes on TV shaking hands with Raul Castro any more than President Obama had anything to lose by putting Alan Gross on camera. None of these agents had to be ‘debriefed’ or checked by the doctors before appearing in front of the cameras. The only reason people strongly suspected that the mysterious spy might be Rolando Sarraff Trujillo (a.k.a. Roly) is that his family can’t find him. Cuban prison officials told them that their son had been transferred, but not to worry about him. He was in ‘good hands’. Certainly, Roly fit most of the description made by Obama at his press conference announcing reestablishment of relations with Cuba: a Cuban intelligence officer locked up for 20 years for providing cryptographic information that led to the capture of the aforementioned spies. So who else could it be? And if in addition the Obama Administration ‘carelessly leaks’ the name through ‘unidentified official’ sources, we have the makings of what appears to be ‘disinformation’. 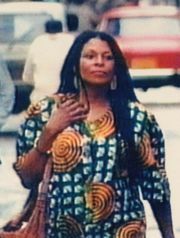 Assata Shakur may be the most-high profile American fugitive living in Cuba, as well as the most controversial. Extradite her, U.S. authorities demand of Cuba. Pardon her, demand her supporters in the United States. But what of the other 70 or so American fugitives believed to be living on the island nation? They’re not easy to track, says Teishan Latner, a postdoctoral fellow at the Center for the United States and the Cold War. “And among those who are known, they are hard to generalize. Some are seen as criminals. Some are mentally ill. Some fled from genuine political persecution.” The lines between the groups blur. Latner traveled to Cuba several times to interview those wanted by U.S. authorities. The life they live depends on whether the Cuban government saw them primarily as victims of political persecution in the United States – or as common criminals. Those viewed as criminals received a welcome party that led straight to prison and eventually into a kind of halfway house, where they could be watched while they transitioned in or out of Cuban life. For many, the reality of a communist society could not survive the idealized version. But, Latner says, those whom Cuba welcomed as political refugees were put in apartments, given stipends and ration books and supported as they found work. I asked Latner whom he would place on the list alongside Shakur as the most-high profile American fugitives – past and present. He said it would be hard to narrow down, but these five are among the most well-known. Nehanda Abiodun. She’s been living in Cuba since 1990. U.S. law enforcement believes she helped Shakur, who was convicted in the killing of a New Jersey state trooper, to escape from prison in 1979. Abiodun is often called the “godmother” of Cuban hip-hop, Latner says, She became an adviser for Cuban youth who were becoming hip-hop artists. She has served as a bridge between Afro-Cuban and American hip-hop artists. HAVANA (AP) — Cuba said Monday that it has a right to grant asylum to U.S. fugitives, the clearest sign yet that the communist government has no intention of extraditing America’s most-wanted woman despite the warming of bilateral ties. “We’ve explained to the U.S. government in the past that there are some people living in Cuba to whom Cuba has legitimately granted political asylum,” Vidal said. “There’s no extradition treaty in effect between Cuba and the U.S.,” she added. 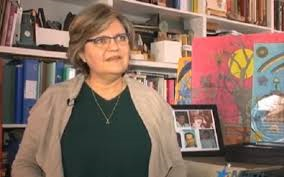 Later Monday, during a live interview with a local television anchor, Christie responded to Vidal‘s statement that Cuba has the right to grant to political asylum to those who have been persecuted. “So Joanne Chesimard, a cold-blooded cop-killer, convicted by a jury of her peers, in what is without question the fairest and most just criminal justice system in the world — certainly much more just than anything that’s happened in Cuba under the Castro brothers. She is now, according to an official of the Cuban government, persecuted,” he said. 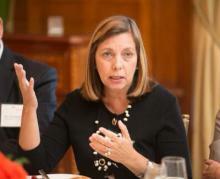 Editor’s Note: Josefina Vidal was thrown out of the United States in May 2003 as part of a mass expulsion of 14 Cuban spies serving under diplomatic cover. For previous stories on this spy, use the search icon. The U.S. Agency for International Development and Development Alternatives Inc. finalized a settlement this week for claims related to USAID subcontractor Alan Gross, who was released from a Cuban prison last week. Development Alternatives is the Maryland-based international development firm that subcontracted a USAID pro-democracy program to Gross to introduce satellite communications equipment into Cuba. The amount of the settlement wasn’t disclosed but CNN reported that as part of it, Gross was to be paid $3.2 million. Gross was arrested Dec. 3, 2009, and held in Cuba until last Wednesday when the Cubans released him as a humanitarian gesture. His release, as well as the swap of a CIA agent held in Cuba for three Cuban spies imprisoned in the United States, paved the way for a historic agreement that will restore diplomatic relations between Cuba and the United States. USAID said the settlement resolves unanticipated claims pending before the Civilian Board of Contract Appeals under a cost-reimbursement contract and included claims related to Gross, who had served five years of a 15-year sentence at the time of his release. The Grosses filed a $60 million negligence suit in U.S. District Court in the District of Columbia against both DAI and the federal government, alleging they had failed to adequately train and prepare him for the risks he would face in Cuba. DAI earlier settled with the Grosses for an undisclosed amount but a judge dismissed the case against the government, saying it was immune from any claim arising in a foreign country. Gov. Chris Christie has joined the growing call by New Jersey leaders demanding that Cuba return fugitive cop-killer JoAnne Chesimard as part of any negotiations the United States enters to normalize relations with its long-estranged neighbor. “Cuba’s provision of safe harbor to Chesimard by providing political asylum to a convicted cop killer, and her ability to elude justice, is an affront to every resident of our state, our country, and in particular, the men and women of the New Jersey State Police, who have tirelessly tried to bring this killer back to justice,” Christie wrote. Christie wrote he did not share the president’s hopes that opening relations would reverse decades of human-rights abuse under the Castro regime, but that current developments provide the opportunity for Cuba to prove it is serious about change by sending Chesimard back to New Jersey. Rep. Rodney Frelinghuysen, (R-Harding), Sen. Robert Menendez and New Jersey State Police Superintendent Col. Rick Fuentes led a strong negative response from New Jersey leaders in the immediate aftermath of Obama’s historic announcement on Wednesday of a prisoner swap and new efforts to open relations with Cuba for the first time since a trade embargo was established 54 years ago. At issue was the return of Chesimard, a former member of the revolutionary Black Liberation Army convicted of murdering New Jersey State Trooper Werner Foerster in 1973. Following her 1977 trial in New Brunswick, before a jury selected from Morris County residents, she escaped from the Clinton Correctional Facility for Women in Hunterdon County on Nov. 2, 1979, in a brazen breakout executed by three armed BLA members. (Reuters) – His release from a Cuban prison has been as cloak-and-dagger as his spying career ever was. 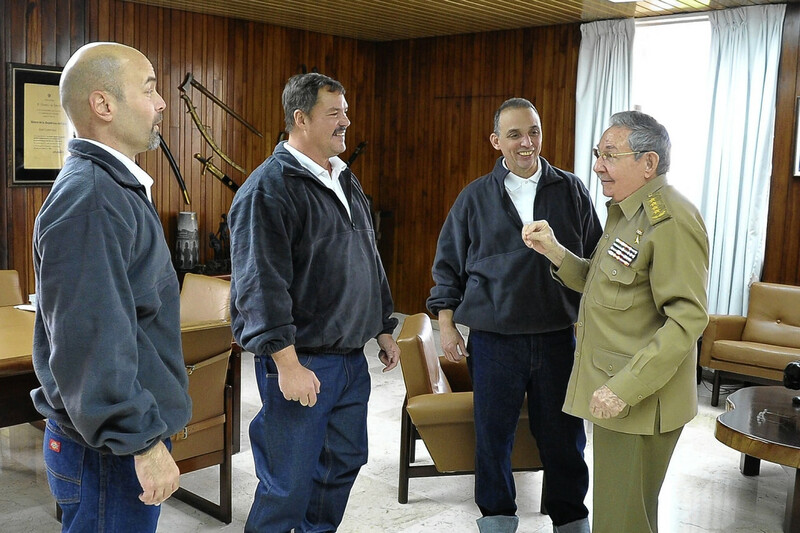 Not even the family of Rolando Sarraff Trujillo appears to know what has happened to the Cuban man believed by some to be the U.S. informant secretly freed in a prisoner swap between Cuba and the United States that was announced on Wednesday. 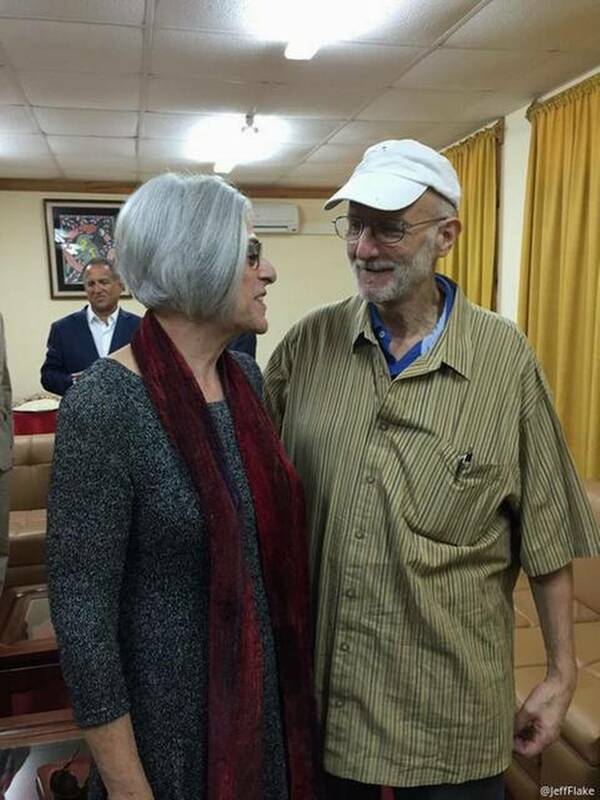 Unlike the televised homecoming of Alan Gross, the former U.S. aid worker who became a household name in diplomatic circles, the United States and Cuba have declined to publicly disclose the identity of the freed spy. The White House and U.S. intelligence agencies on Friday declined to confirm or deny media reports that Sarraff, who had been in a Cuban prison since 1995, was indeed the freed spy. There’s good reason why he might be out of sight. Chris Simmons, a former senior counter-intelligence official at the Defense Intelligence Agency, described Sarraff – familiarly known as “Roly” – as a cryptographer who worked for Cuba’s director of intelligence, citing accounts from Cuban defectors. He said Cuba communicated with its spies through short-wave radio, using groups of numbers to send coded messages. Sarraff would have been able to help the United States break that code. “Roly was arrested in 1995. Almost immediately the FBI can read Cuban communications,” Simmons said, saying he believed Sarraff was the one released based on the U.S. government’s description of the spy’s work. WASHINGTON—In announcing the prisoner exchange that set up a momentous shift in U.S.-Cuba relations, the Obama administration this week made an unusual disclosure, revealing the existence of a key intelligence agent, and detailing specific cases he helped to crack. The U.S. informant, identified on Thursday as Rolando Sarraff Trujillo by those familiar with his role, had been convicted and imprisoned in Cuba for nearly 20 years for helping Washington. He was recently freed and flown to the U.S. Undisclosed before this week was Mr. Sarraff’s secret role as an American operative in Cuba who provided critical information that prompted the 1998 arrests of a group of spies known as the “Cuban Five,” intelligence operatives sent to infiltrate U.S. groups opposed to the regime in Havana. In a separate set of prominent U.S. espionage cases, Mr. Sarraff also provided information leading to the detection and conviction between 2001 and 2009 of a group of American government officials for funneling information to Havana, the officials said. The Americans included the Defense Intelligence Agency’s top Cuba analyst at the time, Ana Belén Montes, and former State Department official Walter Kendall Myers and his wife, Gwendolyn Myers, officials said. All are still serving prison sentences. In a speech Wednesday, Cuban President Raúl Castro didn’t name Mr. Sarraff but said he was “a spy of Cuban origin.” He has been widely identified as a former Cuban intelligence officer imprisoned in Cuba on espionage charges since 1995. Mr. Sarraff was a cryptographer in Cuba’s intelligence service, said Chris Simmons, who headed a unit on Cuba for the Defense Intelligence Agency from 1997 to 2004. Mr. Sarraff was arrested in Cuba in 1995, was convicted and sentenced to 25 years in prison in 1996. He had provided information about the codes used by Cuban spies in the U.S. to communicate with Havana, Mr. Simmons said. 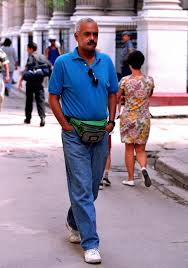 Cuba typically used shortwave radio to communicate with agents in the U.S., he said. 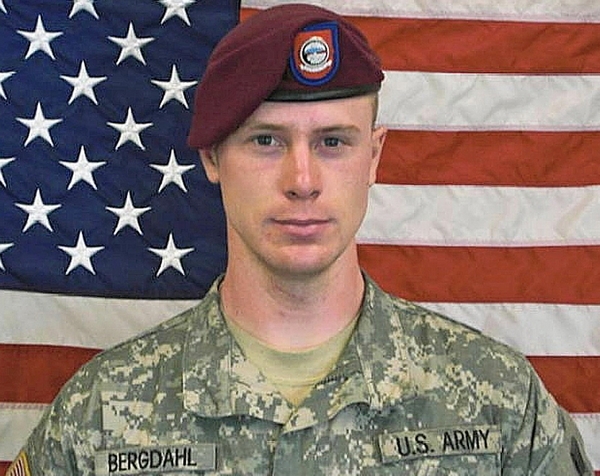 U.S. officials used the information to decipher communications and identify spies, even long after he was arrested. “Once you have the insight, if you’ve got enough time, money and resources, you can go back and look at everyone,” Mr. Simmons said. 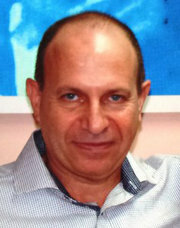 Rolando Sarraff Trujillo, in a photo released by his family. WASHINGTON — He was, in many ways, a perfect spy — a man so important to Cuba’s intelligence apparatus that the information he gave to the Central Intelligence Agency paid dividends long after Cuban authorities arrested him and threw him in prison for nearly two decades. Rolando Sarraff Trujillo has now been released from prison and flown out of Cuba as part of the swap for three Cuban spies imprisoned in the United States that President Obama announced Wednesday. Mr. Obama did not give Mr. Sarraff’s name, but several current and former American officials identified him and discussed some of the information he gave to the C.I.A. while burrowed deep inside Cuba’s Directorate of Intelligence. Mr. Sarraff’s story is a chapter in a spy vs. spy drama between theUnited States andCuba that played on long after the end of the Cold War and years afterCuba ceased to be a serious threat to theUnited States. The story — at this point — remains just a sketchy outline, with Mr. Sarraff hidden from public view and his work for the C.I.A. still classified. The spy games between the two countries lost their urgency after the fall of the Soviet Union, but the spies have stuck to their roles for more than two decades: pilfering documents, breaking codes and enticing government officials to betray their countries. “There were a number of people in the Cuban government who were valuable to the U.S., just as there were a number of people in the U.S. government who were helpful to the Cubans,” said Jerry Komisar, who ran C.I.A. clandestine operations in Cuba during the 1990s. With Wednesday’s exchange of imprisoned spies and the leaders of the United States and Cuba talking in a substantive way for the first time in more than 50 years, some people who were part of the spy games between the two countries now wonder just how much it was worth it. In retrospect, Mr. Komisar said, there was little need for American intelligence services to devote so much attention to Cuba — a country with a decrepit military that he said posed no strategic threat to the United States since the Soviet Union pulled its missiles off the island in 1962. CNN’s Joe Johns reports on the mysterious spy who was released by Cuba after nearly 20 years in prison.